Growing up in California, we West Coasters tend to claim the evolution of skateboarding and disregard the rest of the country as having anything to do with the sport -- we couldn't be more wrong, and this new(ish) book demonstrates this point exactly. 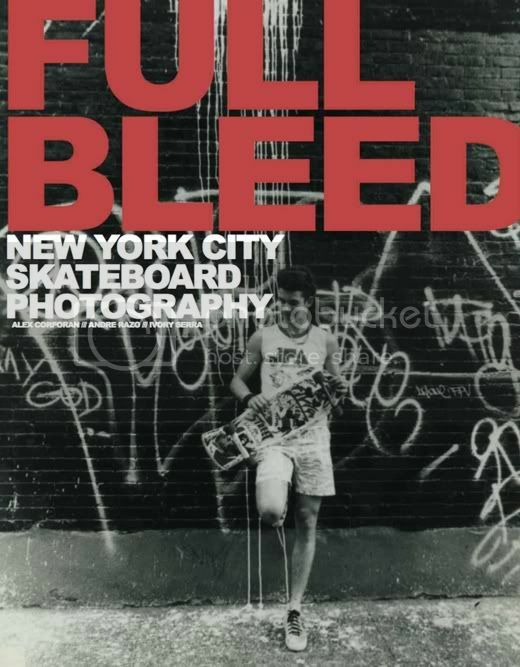 Leave it to a trip to NYC to open my eyes to this amazing book (brought to you by the makers of VICE) documenting the skateboarding culture from an East Coast point of view. I'd also like to thank a certain surf shop in Manhattan (which shall remain namless but rhymes with Schmaturdays) for having a staff of three who completely ignored me for the duration of my visit in the shop even though I was the only person in there, and for stocking the book and bringing it to my attention. Good lookin' out, fellas.